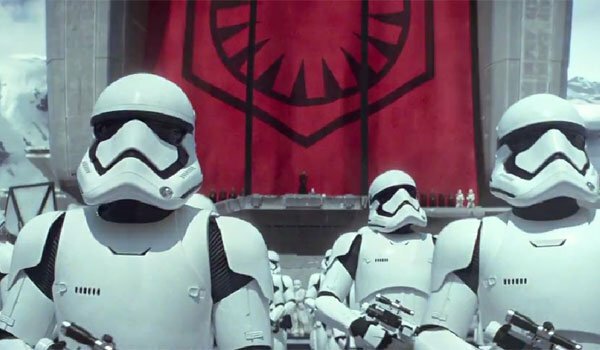 After months and months and months of waiting, we finally got a new Star Wars: The Force Awakens trailer this morning. It was jam-packed with new footage, showed off many of both the new and old characters, and just generally made us excited to jump back into the world of a long, long time ago in a galaxy far, far away. As much as the new clips revealed, however, they also left us asking even more questions than we had before. So what are these key inquiries we’re left asking? Well, we’ve come up with six of them, and we’re hungry for answers. Read on to find out what they are, and hit the comments section with your speculation. Is C-3PO with Luke too? 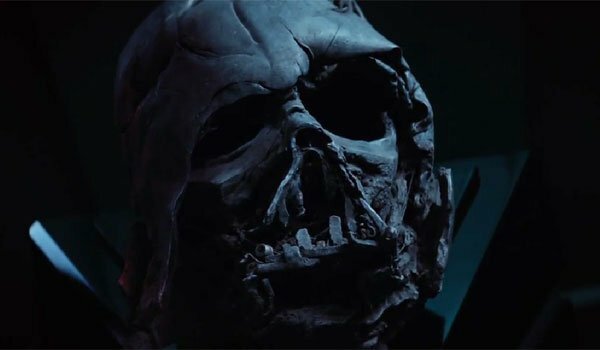 It’s been rumored for a long time that Star Wars: The Force Awakens would find Luke Skywalker becoming kind of a hermit a la Obi-Wan Kenobi and Yoda before him – but this trailer definitely suggests that he’s not alone. 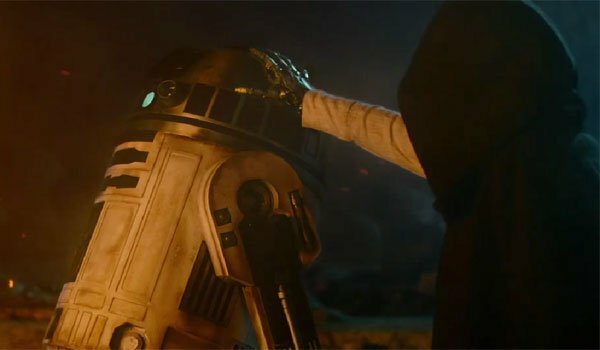 It’s true that we don’t actually see Luke’s face in this trailer, but there is a figure with a robotic right hand just like Luke’s, and it appears that he is still palling around with R2-D2. But does this mean that C-3PO could possibly be with Luke as well? It’s hard to imagine that the two droids would ever part ways, but perhaps a sideplot of the J.J. Abrams’ upcoming sequel will involving reuniting the robotic duo. Who is passing off, and who is receiving this lightsaber? 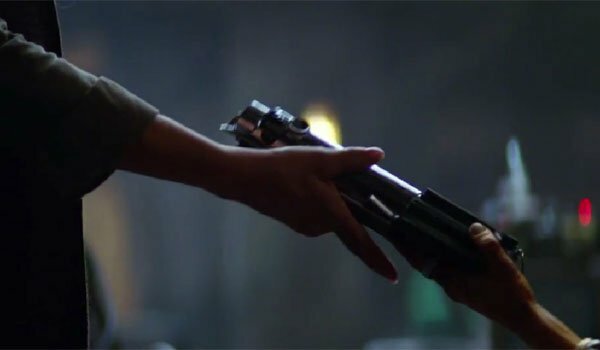 In the trailer, there is a moment when we see two sets of hands, one of which is passing a lightsaber to the other. Unfortunately, we never actually see the character’s faces, so we’re a bit in the dark in regards to exactly who these two individuals are. That doesn’t mean, however, that there aren’t some clues. For starters, it doesn’t seem like a coincidence that this moment plays just as Luke’s narration is mentioning that his sister has access to The Force. Given that the hands in the image look rather feminine, perhaps this could be Carrie Fisher’s Princess Leia passing down a lightsaber to Daisy Ridley’s Rey? Is this the Empire’s new logo? It’s not hard to imagine that the Galactic Empire has changed quite a bit in the 30 years since the events seen in Return of the Jedi. After all, that film did see the death of both ruler Emperor Palpatine and his right hand man, Darth Vader. We can expect that these events probably had major ramifications on the universe – and it would seem that includes an actual rebranding for the totalitarian government. That’s because this trailer seems to suggest that the classic gear logo that represented the Empire is now gone, and has now been replaced with something that looks like an asterisk with a lot of extra lines. What’s the purpose of this new symbol, and why was it created? Those are answers we’re still looking for. Who is flying this rogue TIE Fighter? As seen in the original Star Wars trilogy, TIE Fighters are used by the Empire for scouting missions and to attack smaller ships, but it looks like one of the TIE Fighters in the new Star Wars: The Force Awakens trailer has a different agenda. 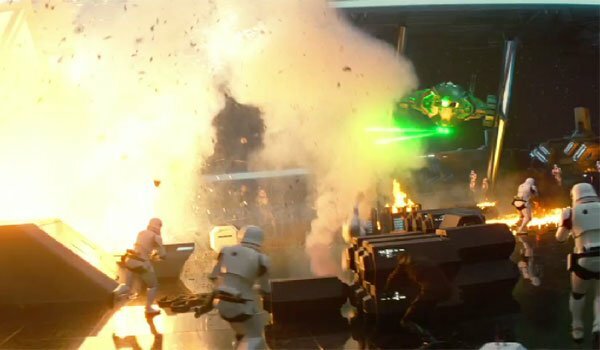 Flying around in what looks like a hanger, the vehicle is very clearly firing on groups on Stormtroopers, and they are firing back. Why? Presumably because one of the anti-Empire heroes has snuck in and started flying it. But who? Could it be That’s a question we probably won’t have an answer to until December. What exactly is home for Han and Chewie? 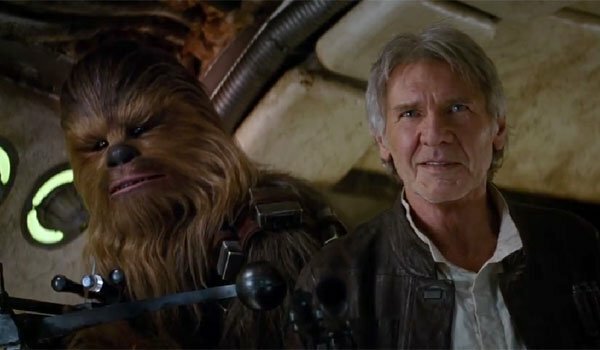 The new Star Wars: The Force Awakens trailer really found a perfect note to end on, revealing the aged Han Solo and Chewbacca, but what exactly is the home to which the rogue smuggler is referring? It’s a longshot that Han is talking about a planet-based home that he hasn’t actually been back to in years, but there is a much more likely answer: home is the Millennium Falcon. We’ve heard rumors in the past saying that the upcoming sequel will begin with Han and Chewie not flying the legendary spaceship, so it’s possible that what we’re seeing in the new footage is them finally getting back on board after spending years away.